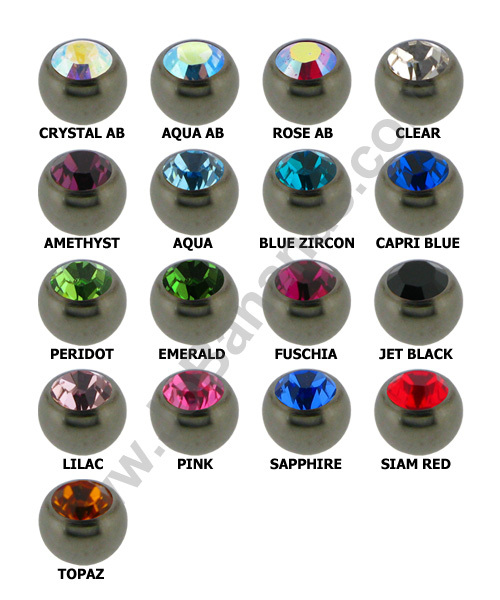 These barbells are very versatile and can be worn in many different piercings, they are made out of Grade 23 Titanium and internally threaded (which means that the ball and clear trinity gem design have a thread which is screwed into the hole in the barbell). 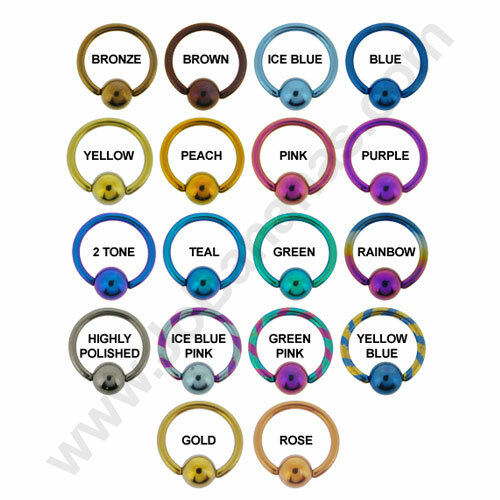 Internally threaded jewellery is very popular because it is easy to fit in body piercings and less likely to cause any irritation when fitted because the whole bar is smooth. 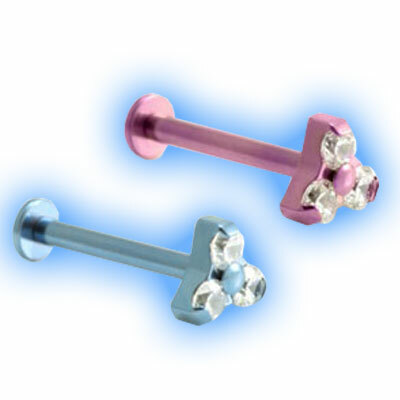 The bar is 1.6mm (14 gauge) and available in 6mm through to 40mm lengths so can be worn in industrial or scaffold piercings. The 3 clear gem stones look stunning in the Titanium setting with a Titanium circle in the centre and it measures 5mm across. There is a removable disc at the other end so this can also be worn like a labret. "I have been shopping, online, at JoBananas for years. It's the only body jewellery I wear. I have some major allergies and can use JoBananas..."
"My purchase arrived faster than I expected. In fact I believe it was prepared for dispatch minutes after I placed my order! 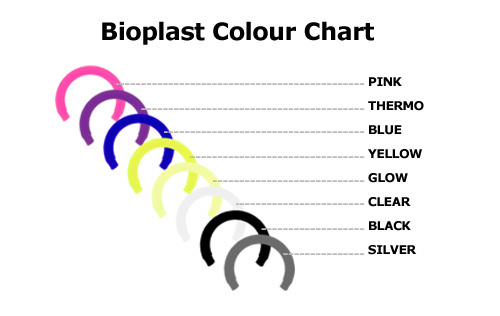 The items were of great..."
"The jewellery received was hygienically packed, good quality and arrived swiftly." "Fantastic service, I places my order in the morning and it arrived in the post the next day."